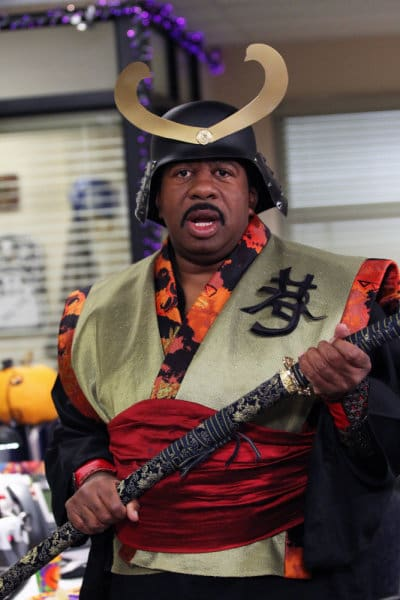 Stanley rocks this costume for Halloween. Think he deserves to win the branch's contest? 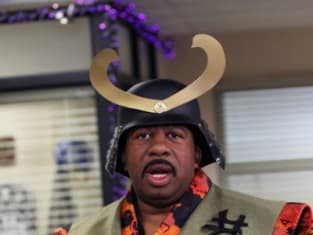 The Office Season 7 Episode 6: "Costume Contest"
The Office Review: Darryl! MacGruber! I know how to sit on a fence. Hell, I can even sleep on a fence. The trick is to do it face down with the post in your mouth. As you may have heard, our branch on the planet Jupiter is up 8,000 percent in sales.